It all started in 2014 when we were neighbors in downtown Napa and bonded over skiing, porróns and Cabernet Franc. 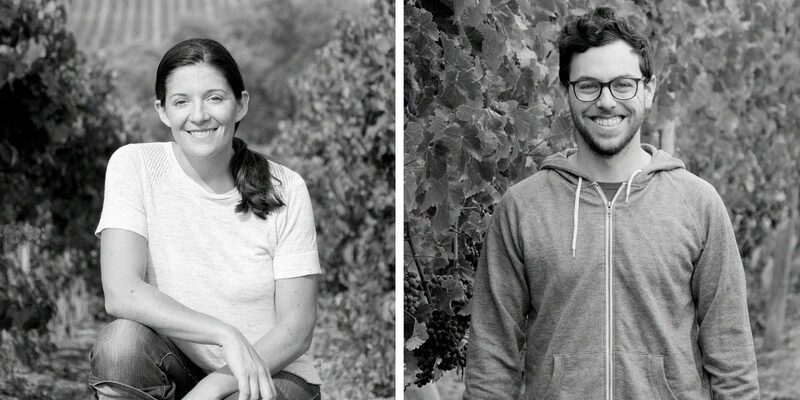 Ryan studied Viticulture and Enology at UC Davis and has been working in the industry for ten years while Luisa practices trademark law, helping establish wine brands. Our journey began by searching for the perfect grapes. Upon learning that Albariño was available at Rorick Heritage Vineyard, we were intrigued; after seeing the vineyard, we were unwaveringly committed. We now source Albariño and Cabernet Franc from three distinct vineyards in Northern California. Etxea means “house” in the Basque language and gives homage to Luisa’s Basque roots, the Spanish origins of Albariño (from Galicia in NW Spain) and the Basque grape Hondarrabi Beltza, a descendant of Cabernet Franc. Our goal at Etxea Wines is to make a “house” wine from unique vineyard sites and varietals that you can enjoy every day and with every meal.